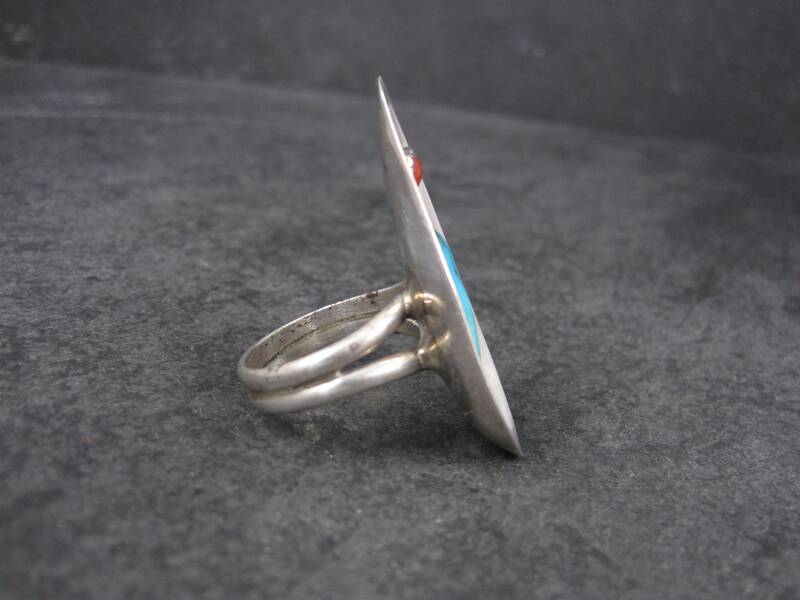 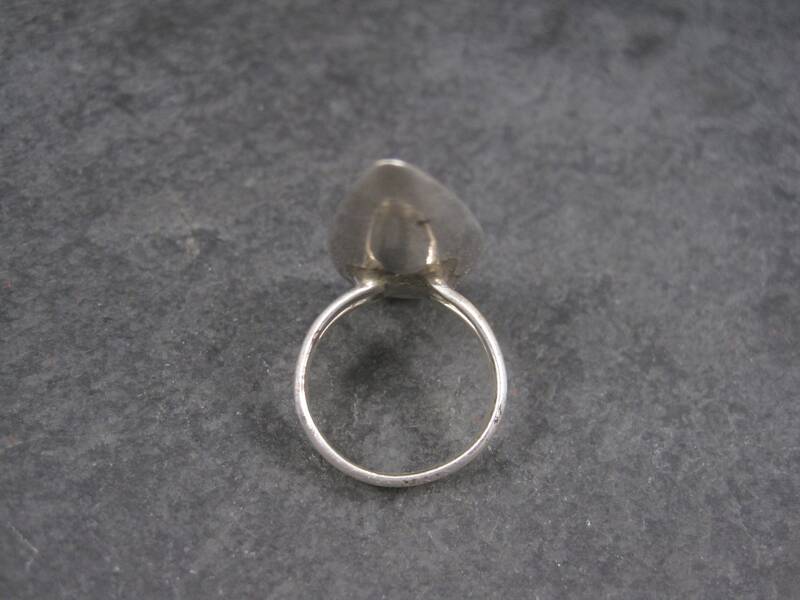 This gorgeous vintage ring is sterling silver. 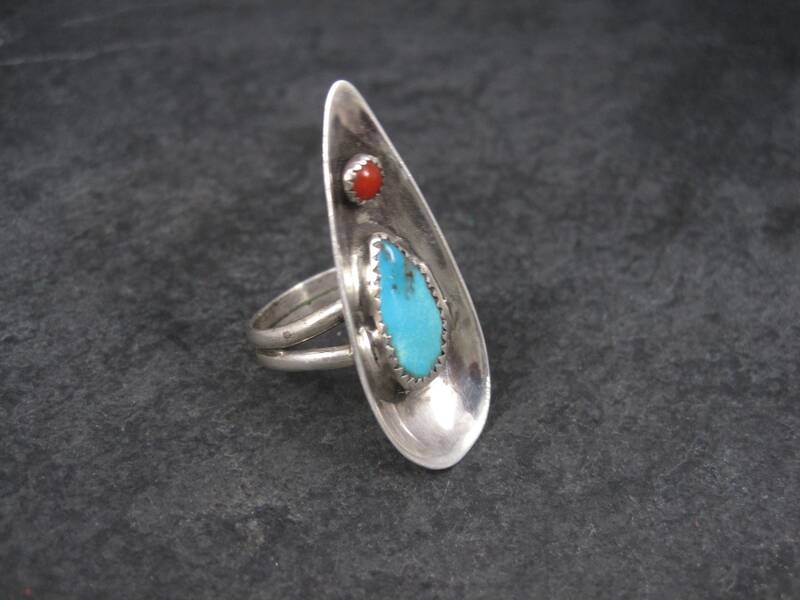 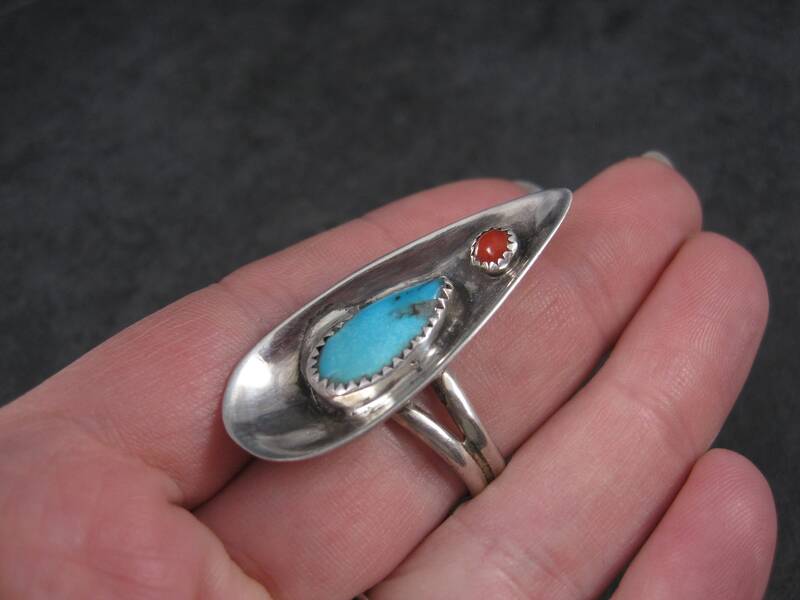 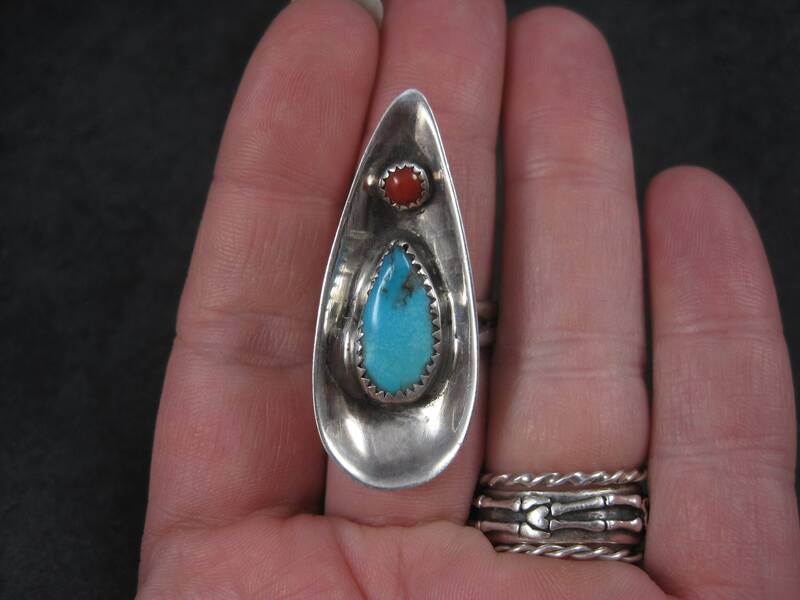 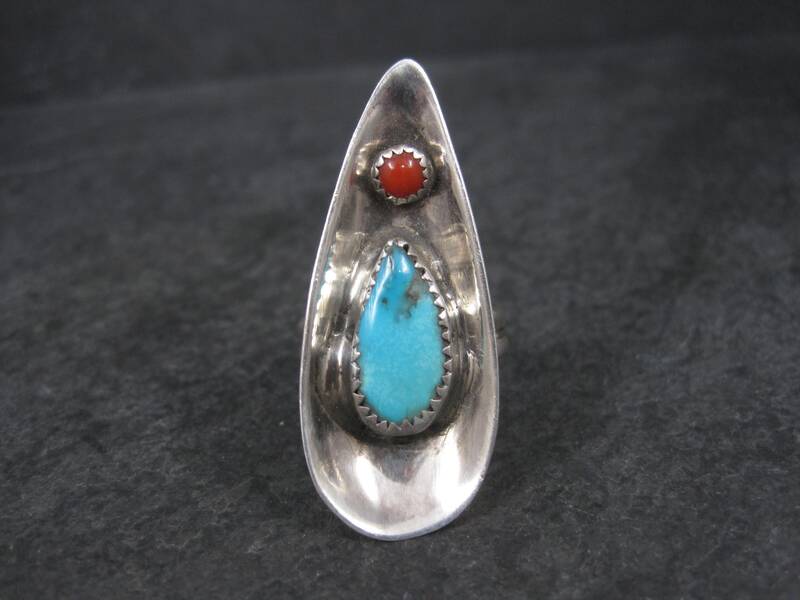 It features natural turquoise and coral stones and was likely made out of a sugar spoon. 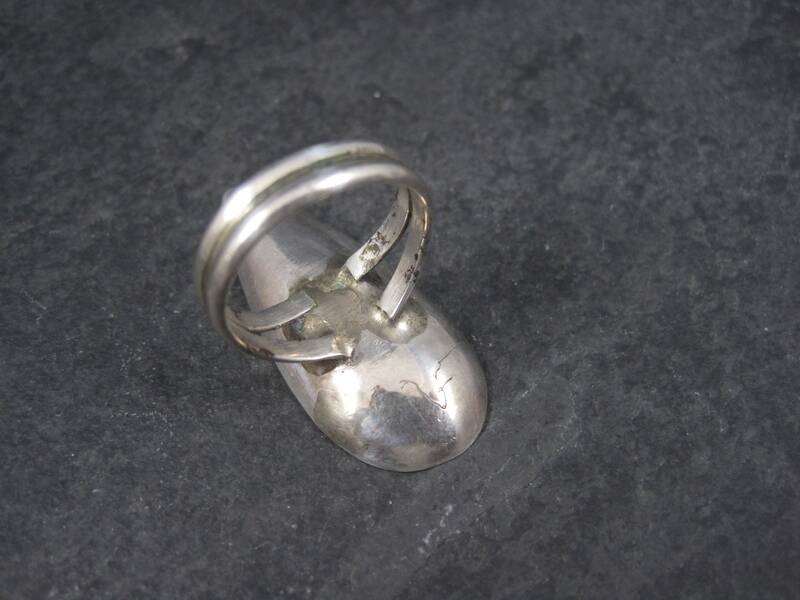 The face of this ring measures 1 5/8 inches north to south.